The ADA Annual Meeting will be held at the Walter E. Washington Convention Center in Washington, D.C. from Thurs., Nov. 5 – Sat., Nov. 7 and is sure to be packed with industry information, updates on cutting-edge technology and opportunities to connect with other dental professionals. In addition, there are a handful of special events taking place that you won’t want to miss! Thursday, November 5 – 8:00 a.m. – 9:30 a.m. The opening General Session and Distinguished Speaker Series will feature two presenters who are sure to get your wheels turning with their intriguing and insightful commentary. Eleanor Clift is the Washington correspondent for The Daily Beast and a panelist on The McLaughlin Group. Drawing on her reputation as one of Washington’s preeminent political analysts, Clift will provide tested journalistic insights on the issues and intrigues that surround our political process. She will uncover the stories behind the stories gleaned from her years building relationships and sources with the nation’s key political players. Pulitzer Prize winning syndicated columnist and commentator Charles Krauthammer will discuss some of today’s most pressing world issues. A former speechwriter for Vice President Walter Mondale, a former writer and editor of The New Republic, and columnist for The Washington Post since 1985, Krauthammer sets out to offer an entirely new viewpoint on today’s political headlines. Thursday, November 5 – 7:30 p.m. – 9:30 p.m. Ever wonder what takes place at some of the world’s most famous museums after hours? 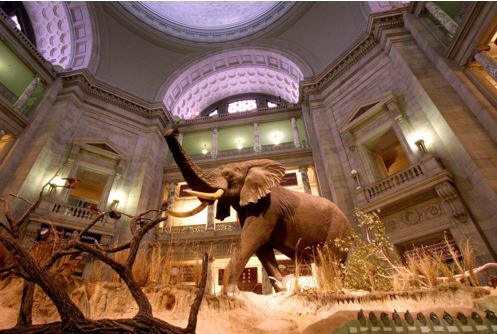 This mystery will be solved simply by attending the welcome reception, to be held at two world-renowned Smithsonian museums – the National Museum of Natural History and the National Museum of American History. Both museums will be closed to the public, allowing you private access to exhibitions at each location. Socialize with friends and colleagues while enjoying light food and drinks. This event is open to registered attendees and transportation to the museums will be provided. Saturday, November 7 – 1:30 p.m. – 5:30 p.m. 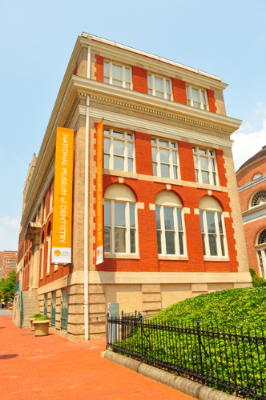 Attend a private tour of the National Museum of Dentistry. This museum has fascinating exhibits including an array of 40,000 historic artifacts like George Washington’s ivory denture and interactive exhibitions. This museum is in Baltimore, Maryland and the $40 cost of attendance includes transportation. Monday, November 9 – 7:00 p.m. – 10:00 p.m. The 2015 leaders’ celebration will be held at the Marriott Marquis in Washington, D.C. Join your colleagues to honor President Dr. Maxine Feinberg, the ADA Board and all Delegates and Alternates of the House of Delegates. Enjoy live interactive entertainment, plenty of food and drink. The social setting will be relaxed and casual attire is appropriate. Tickets are $50 and are available for purchase in the Registration Area or at the door. 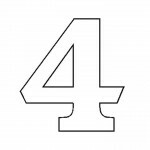 For more information about the ADA Annual Meeting visit www.ada.org/en/meeting. We will be attending the meeting as an exhibitor. Are we invited to go to the museum? Thank you. The site says it’s open to registered attendees, but that space is limited. To get a confirmed answer, you’d have to get in touch with someone at the ADA that’s organizing the event.